A household name, an Australian rock icon, the elder statesman of OzPubRock - there isn't an accolade or cliche that doesn't apply to Jimmy Barnes. 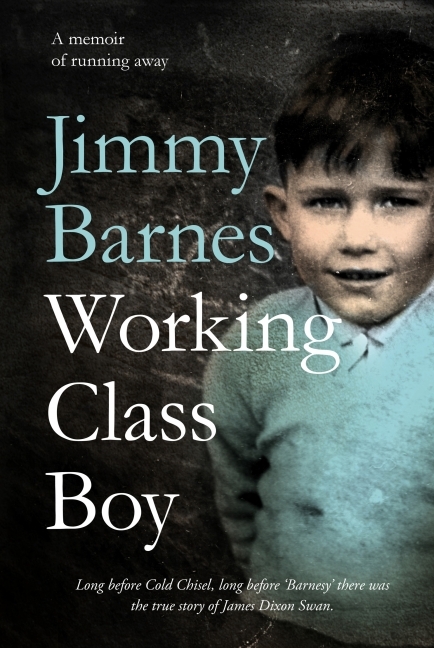 But long before Cold Chisel and Barnesy, long before the tall tales of success and excess, there was the true story of James Dixon Swan - a working class boy whose family made the journey from Scotland to Australia in search of a better life. Jimmy Barnes is a Scottish-born rock singer-songwriter who grew up in Adelaide. His career, both as a solo performer and as the lead vocalist of the legendary band Cold Chisel, has made him one of the most successful and distinctive artists in Australian music history. A prolific songwriter and performer, Jimmy has been a storyteller for more than 40 years, sharing his life and passions with Australians of all ages at over ten thousand gigs throughout his adopted homeland. In the process he has amassed more #1 albums in Australia than the Beatles: four with Cold Chisel and eleven as a solo artist, including the iconic For the Working Class Man. Across his career Jimmy has sold over 12 million albums and he has been inducted into the ARIA Hall of Fame twice. Jimmy lives in New South Wales, with Jane, his wife of 37 years, their children, grandchildren and two schnauzers.